Presenting a statement of luxury living that’s on par with Europe’s most admired grand residences … is St. Gabriel Village by Shane Baghai. Designed by Rafael & Bigauskas Architects, this elegant condominium echo’s French and Italian design ideals infused with contemporary details. With tranquil gardens and a magnificent village square with a fountain, St. Gabriel delivers exceptional luxury condominium living for today’s discerning tastes. St. Gabriel Village feels like a five star hotel, with 10,000 square feet of luxury amenities including: 24 hour executive concierge service, guest suites, valet parking, saunas, steam rooms, indoor pool, large Jacuzzi hot tub, ample visitor parking, two exercise rooms, theatre room, games room, party room, conference room, massage room, business centre, Yoga studio, and a library. 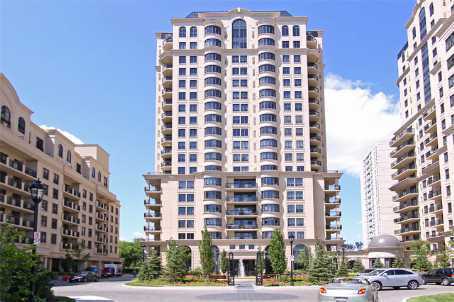 Situated in the affluent Bayview Village neighbourhood, St. Gabriel Village is just steps to the upscale Bayview Village Shopping Centre (one of Canada’s most prestigious shopping centres), parks, and the Bayview Village Tennis Club. It’s also just minutes to Highway 401, Don Valley Parkway, and the Sheppard subway line. St. Gabriel Village has the most luxurious high-end finishes, with crown moulding, granite counter tops, stainless steel appliances, marble floors, and solid core interior doors. These exquisite suites also boasts nine foot ceilings, hardwood floors throughout, pot lights, an extra large balcony (with a gas line hook-up for a barbeque), gas fireplace, Toto toilets, five piece master ensuite bath (with a large Jacuzzi soaker tub, rain shower, and double sinks), king size master bedroom (with a large walk-in closet), and a gourmet open concept eat-in kitchen (with a breakfast bar and French doors).